The rising temperatures have me thinking about the beach constantly. I adore the beaches in New York, but they will never replace the love I have for the ones I grew up on in Southern California: Malibu, Zuma, Mother’s Beach, Venice. 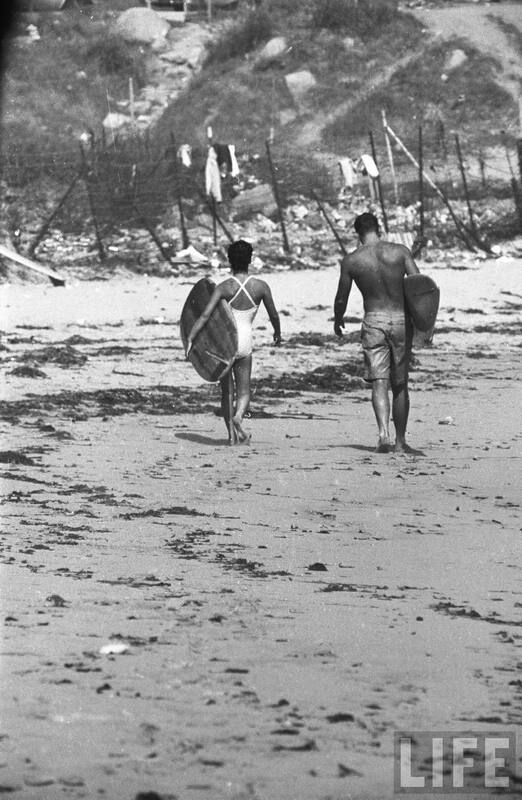 To that end, I went for a wander through the LIFE Archives to see if I couldn’t find some images of California surfers and surf culture for my Tumblr. 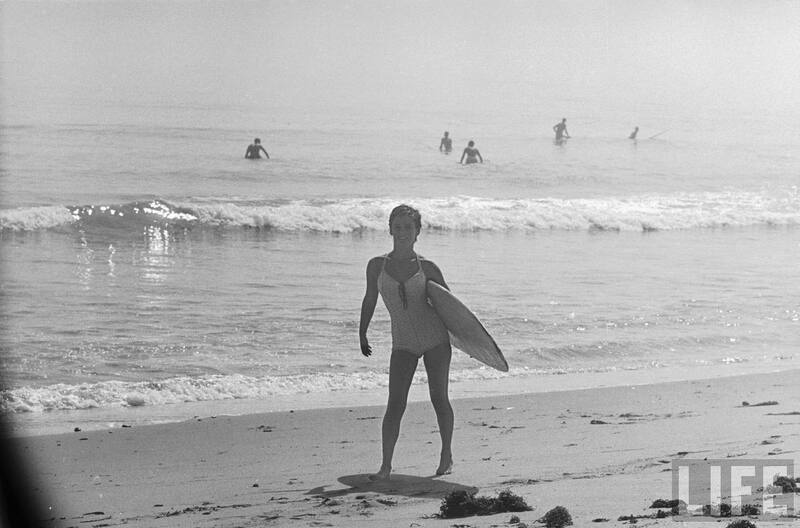 I was so pleased to find images taken by Allan Grant in Malibu, for an article that appeared in the October 28, 1957 issue of LIFE Magazine on the real-life inspiration for the fictional character Gidget — Kathy Kohner. 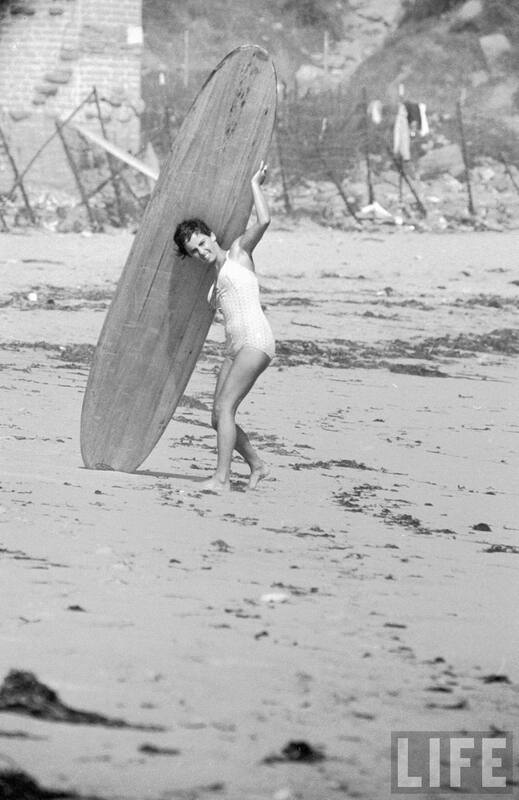 When you hear “Gidget” you might think of the Sandra Dee or Sally Field incarnation, a boycrazy girl who took up surfing to get close to Moondoggie, but from what I can tell about Kohner, her learning to surf had nothing to do with boys and everything to do with surfing. 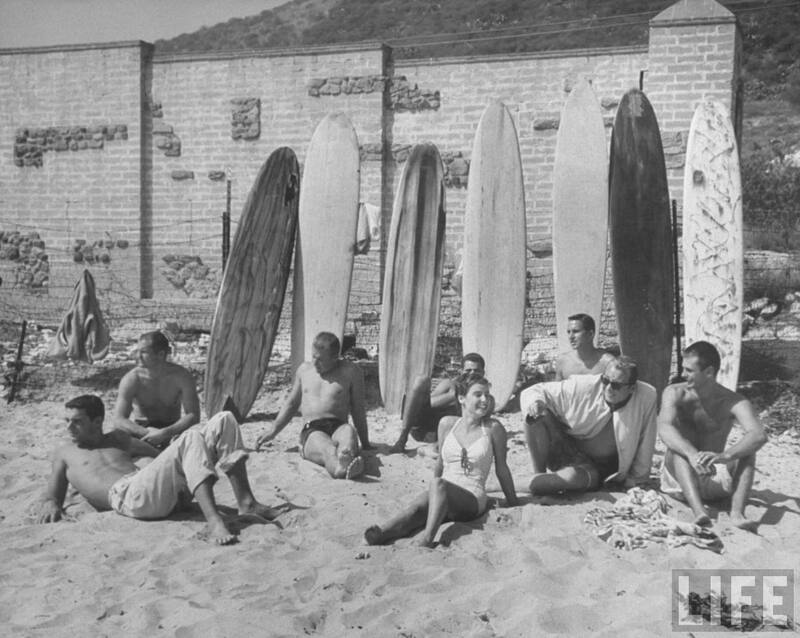 The original novel, “Gidget, the Little Girl with Big Ideas,” was written by Kathy’s father, screenwriter Frederick Kohner, in 1957 and was based on Kathy’s experiences breaking into the “boys only” Malibu surf culture at the age of 15. 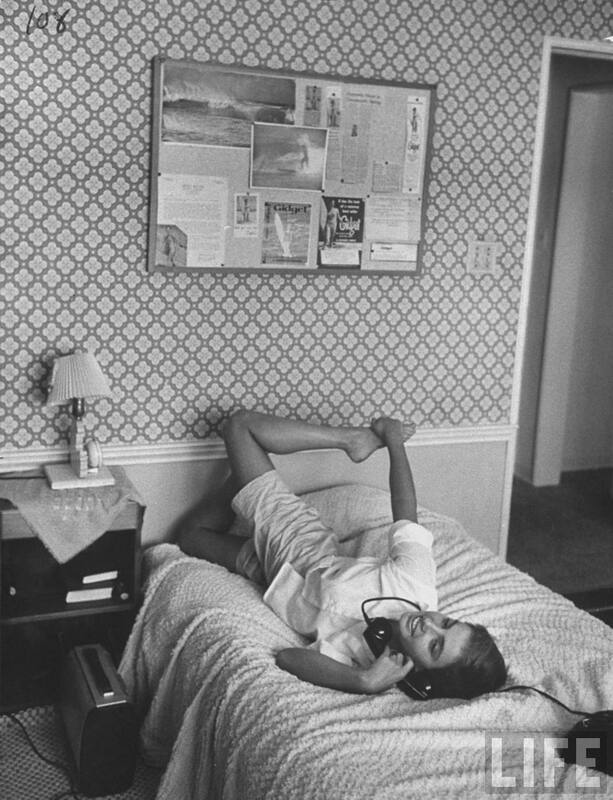 Frederick was intrigued by the surf slang he heard his daughter using and ended up pulling quite a bit of material for his novel from Kathy’s own diary. Spawning multiple movies, two television series and further novels, Kohner was a bit more counter-culture than Hollywood was ready for and so her story was watered down. 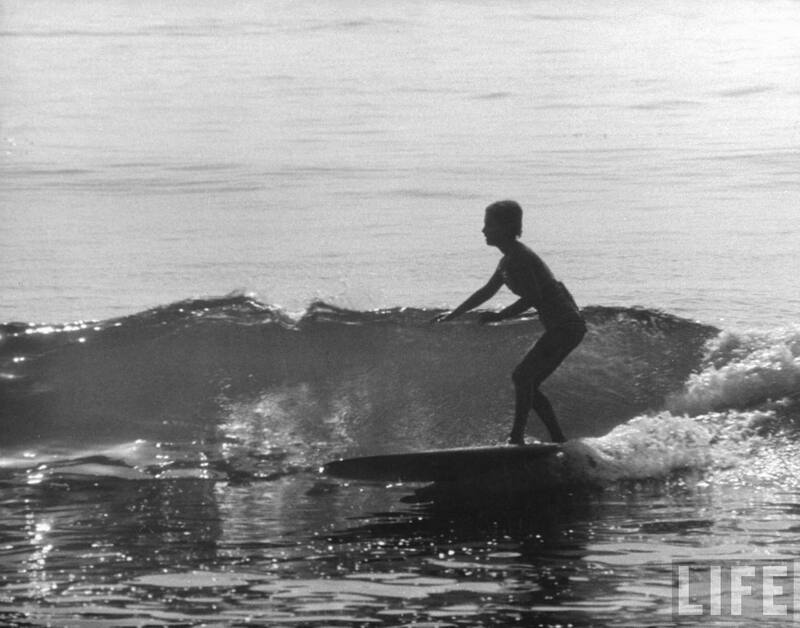 Luckily, a glimpse of the real Gidget shines through in Grant’s pictures. Ritz crackers and cigarettes. Badass. These pictures warmed my California girl heart right up. Even made me pine a little for Malibu, just a little. 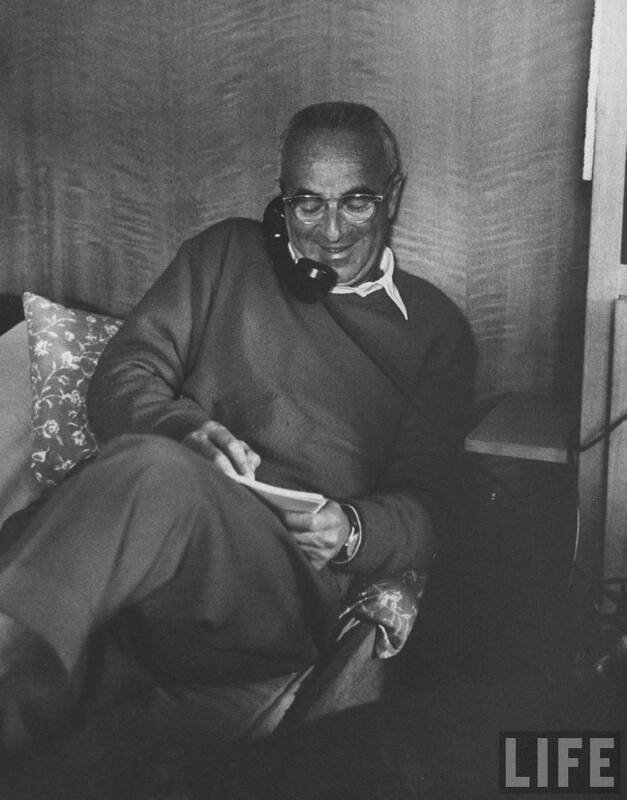 Read the full LIFE article here. The image of her with the crackers and the cigarettes is so cute! I love the swimsuits from this era, reminds me to invest in a vintage one piece instead of a bikini this year. I, too, have been jonesing for the beaches of So. Cal. As I walk around NY, I just can’t help missing California summers – how being outside is a pleasant and easy-going experience. Seeing this post made me recapture some of that and brought a smile to my face. And who knew Kathy / Gidget was such a little toughie? 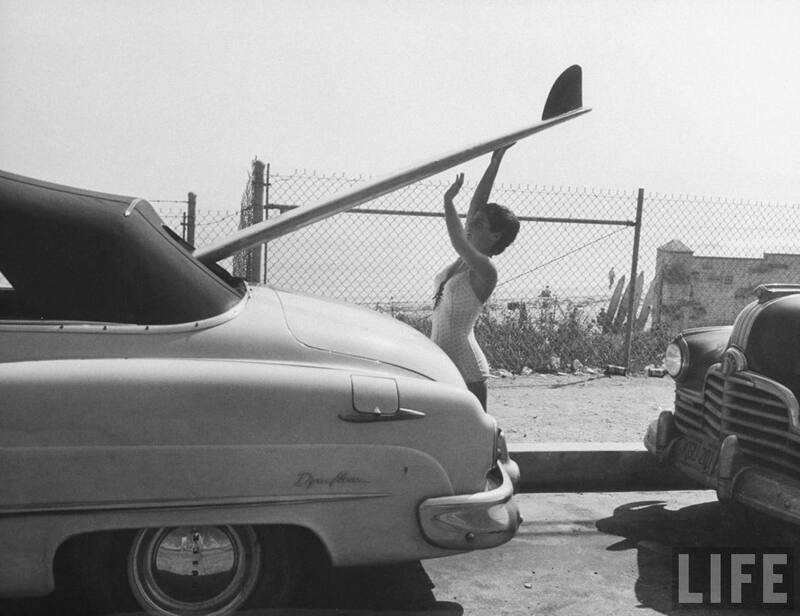 You are currently reading LIFE Archives: Kathy “Gidget” Kohner, Malibu 1957 at Quite Continental.